This app facilitates people with hearing loss by enabling them to use a cloud based speech recognitions service to see text being spoken to them. 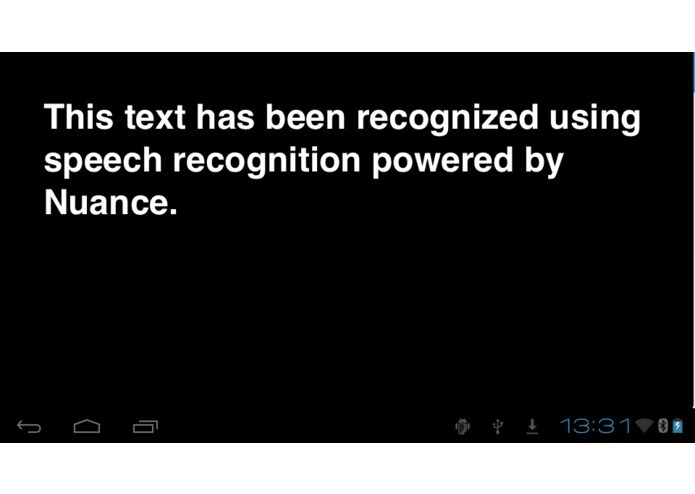 The app utilizes Nuance's cloud service (the same speech recognition service used by Apple's Siri) to recognize speech. The app supports bluetooth speech recognition. USB microphone support may be added later.